Dry Cut Only. Diamond drilling set for Porcelain wall and floor tiles. 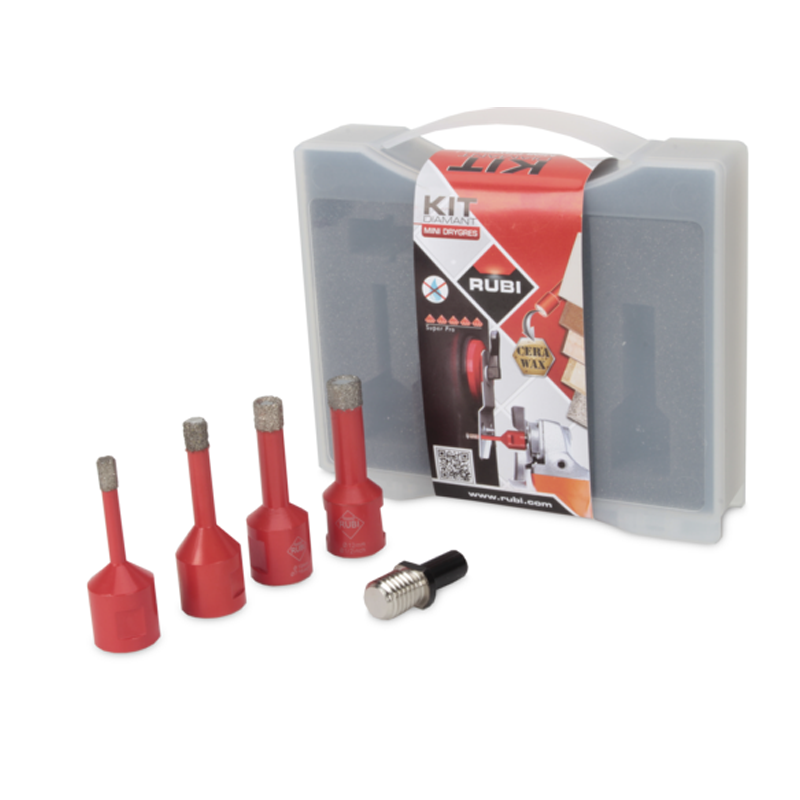 Rubi Dry Cut Wax Filled Diamond Hole Cutter Set. 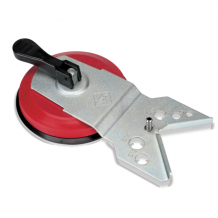 For the Hole Cutting in Ceramic tiles and Porcelain tiles. For use with an angle grinder. Operational speed between 10,000 and 14,000 r.p.m. Cutters are finished with a M14 thread to attatch directly to an angle grinder. 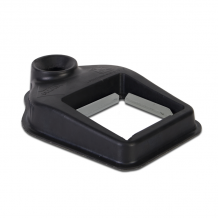 The drilling guide is a system for guiding dry cutters whilst cutting as there is no centre drill. Guide takes all sizes from 20 to 68 mm. 6, 8, 10 & 12 mm Dry Diamond Hole Cutters, Drill Adaptor & Plastic case.